Our six micro pigs had a cracking time when keepers laid on a post-Easter egg hunt for them. 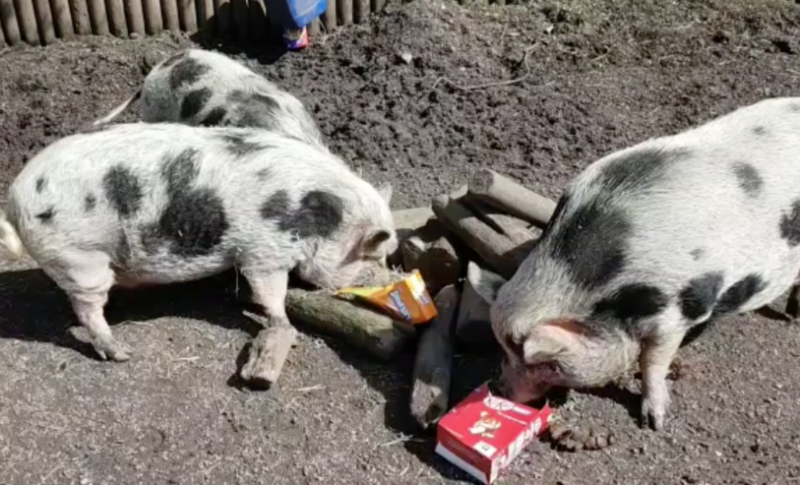 Staff down on the Farm at Dudley Zoo kept their empty Easter egg boxes to fill with a fruity feast for the hungry hogs. Senior Keeper Lesley Lewis said: “We filled the boxes with hay, apple and carrot to give the pigs a healthy treat. “They all loved delving into the boxes and discovering the snacks inside. It’s a great, fun game which gives the pigs a different way of getting to their treats. Take a look at our video to see the six little piggies having egg-cellent fun! Previous: By George, what fun!